Welcome to Arundel View Cottage! Arundel View is idyllically situated in the glorious countryside that surrounds the historic town of Arundel. 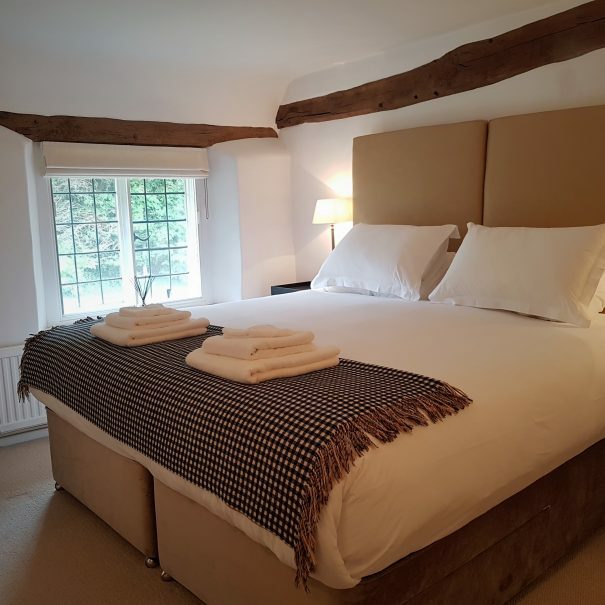 The cottage is a classic English thatched cottage in the picturesque hamlet of Wepham which is adjacent the equally pretty village of Burpham with its famous pub and just a few minutes away from Arundel and many other attractions. 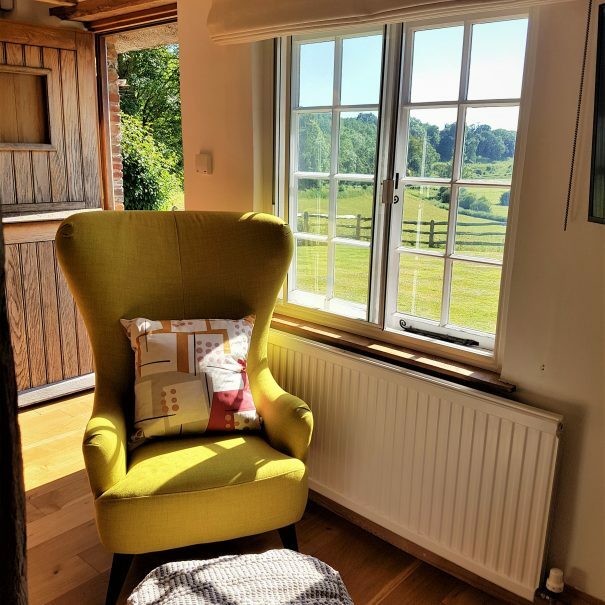 With the fabulous Arundel Castle in the background and the rolling hills of the South Downs countryside surrounding you it's a holiday retreat where you can relax and breath. 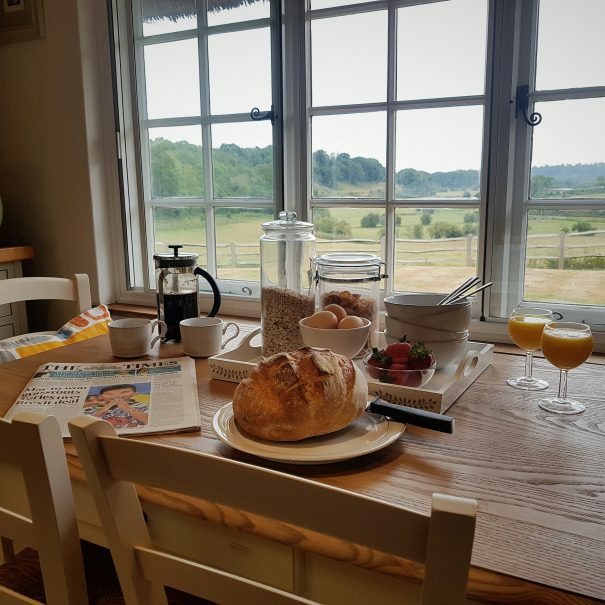 Being just over an hour away from the bustle of London its ideally situated for magical short breaks as well as weekly unwinds. Arundel View accommodates up to 6 persons. We provide luxurious accommodation furnished in a contemporary mix of pieces. From the south facing patio, there are uninterrupted country views towards Arundel Castle. 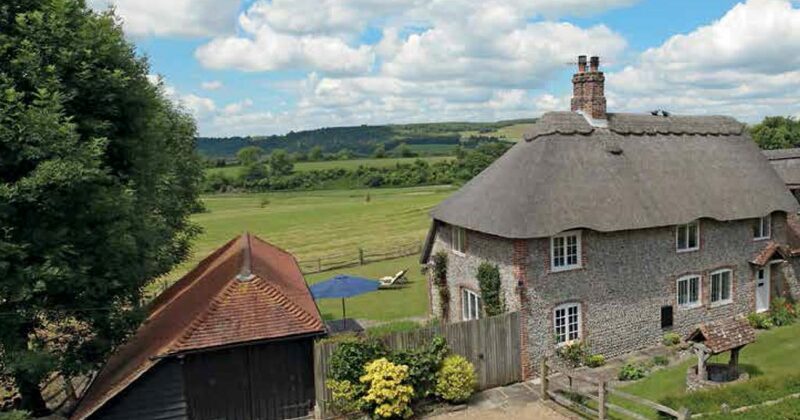 Situated in the heart of the South Downs the cottage offers outstanding views of the surrounding countryside and is ideally situated for country walks and cycling. The cottage is located near Arundel, where you’ll find the stunning Arundel Castle. This towering stately home has been the seat of the Dukes of Norfolk and their ancestors since 1067. Enjoy fantastic coast to countryside views from the Keep, while the inside of the castle conceals a very fine collection of furniture, paintings, clocks, tapestries, armour and much more. 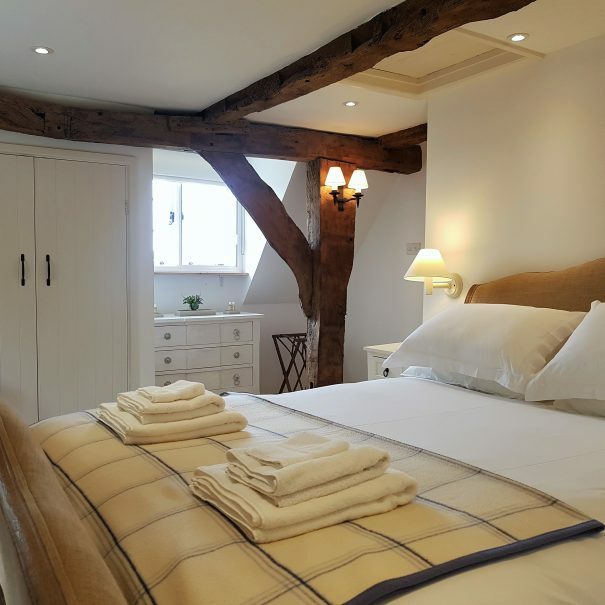 We provide luxurious accommodation furnished in a contemporary mix of antique and modern pieces. From the main living space, master bedroom, kitchen and south facing patio you have uninterrupted country views. All rooms are heated including underfloor heating. 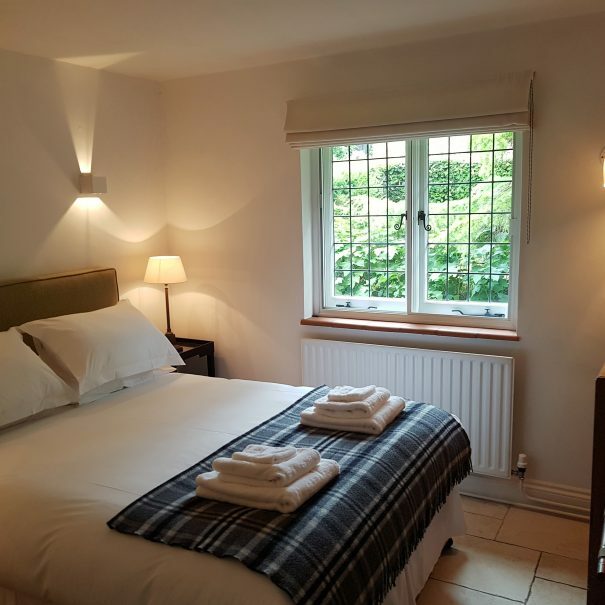 The bathrooms are supplied with heated towel rails and fluffy white towels. Cotton bathrobes are provided and bathroom indulgences supplied by local suppliers. 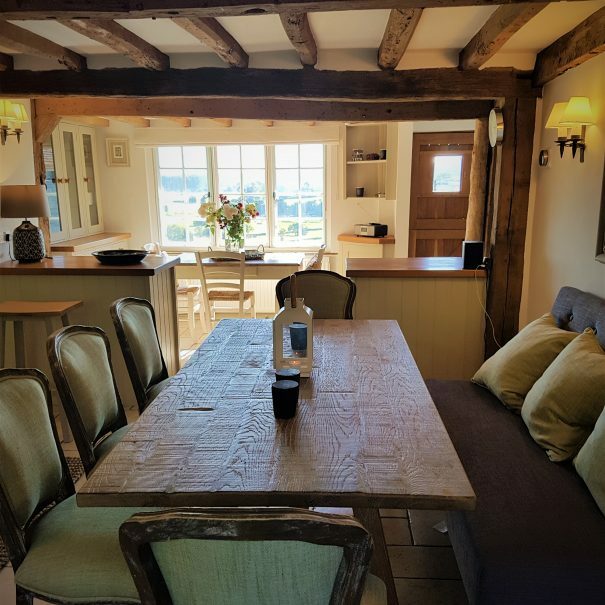 "It was just as well my Granddaughter is too old for Father Christmas to visit her in this stunning cottage as he wouldn’t have wanted to leave! My son rented Arundel View for a family Christmas get together and to say that we had a fabulous time is still an understatement. The views are fantastic and the cottage itself was spotlessly clean and extremely well equipped with everything being of top specification, there are even games consoles and videos should you need them. I would recommend Arundel View to anyone wanting a fantastic break away."